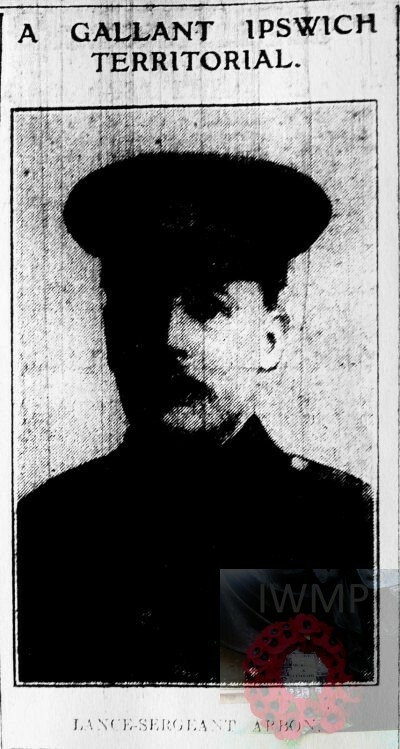 Died: In the morning of the 21st December 1914; age 33; KiA at Allonagne – Leading his section out of a tight corner. If he had not acted as he did the whole section would have been lost. Residence: 73, Elliott Street, Ipswich. Rank: Sergeant; Service Number: 266. Jesse was a month old and living with his parents & siblings. John Arbon, 29, a Wheelwright Master, born Mendlesham. Emma Arbon (nee Clover), 28, born Mendlesham. Walter Arbon, 7, born Mendlesham. Alfred R. Arbon, 6, born Mendlesham. Jabez Arbon, 3, born Mendlesham. 1891 Back Street, Mendlesham, Suffolk. Jesse was 9 years old and living with his parents & siblings. Alfred, 16, a Grocer’s Assistant. Bessie Arbon, 6, born Mendlesham. Victor William Arbon, 4, born Mendlesham. Eva Arbon, 2, born Mendlesham. Arthur, 7 months, Born Mendlesham. 1901 13, Crispin Court, Colchester, Essex. Jesse was 18 years old, a Saddle Harness Worker. He was a boarder at the home of George Dines, a Horse Keeper & Groom. Photograph courtesy of Meg Barnett. 1911 27, Bramford Road, Ipswich. Jesse was 28 years old, a Bag maker – Portmanteaus. He was boarding at the home of Happy Grimsey. Reginald Jesse Arbon, born July 1912, Ipswich. 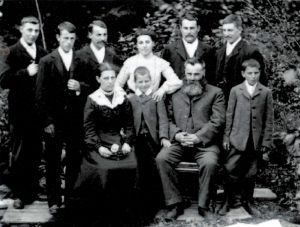 Soldiers’ Effects to Rose Arbon – widow. In 2018 Students from Mendlesham Primary School travelled to Verquin where they are twinned with the school. 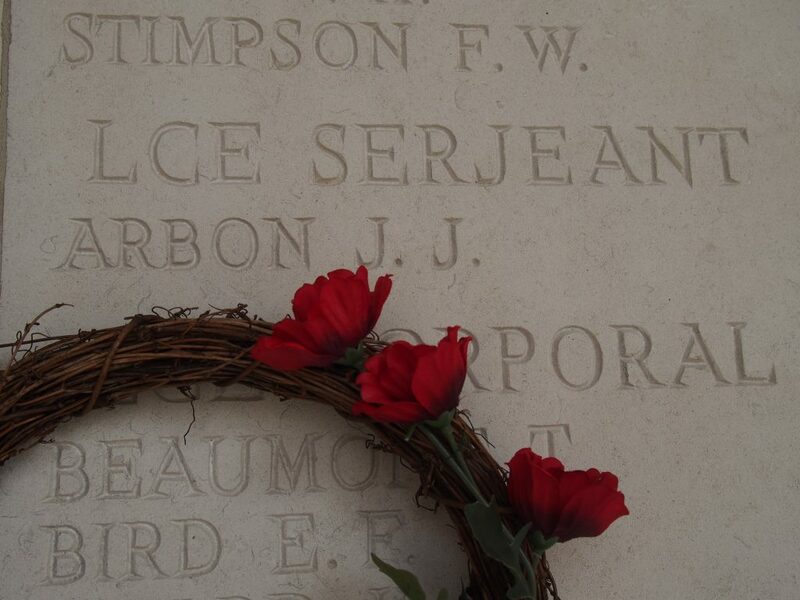 They visited Notre Dame de Lorette and Le Tourette, Richebourg cemetery and placed a wreath on his memorial plaque to commemorate this son of Medlesham. Jesse has no known grave. Images courtesy of Kevin Knights and Mendlesham Primary School. Jesse is also remembered on the war memorial at St. Mary’s Church, Mendlesham, Suffolk and St. Clement’s Congregational Church Ipswich St. Matthew’s Church war memorial. On 20th December 1914 the 4th Battalion the Suffolk’s reached the village of Givenchy next to La Bombe Crossroads, near Neuve-Chapelle, and La Bassée Canal. Setting out from the village of Givenchy-lès-la-Bassée, B Company crossed the canal and joined the 1st Manchester Regiment at the Village line. C- Company on the edge of the canal rise and D-Company in the support trenches at the brewery. A-Company became the reserve in Cuinchy. 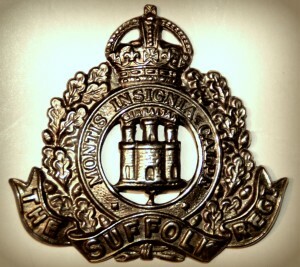 During that afternoon the Germans attacked and captured a large part of the village but were repelled by the 1st Battalion the Manchester Regiment and “B”- Company 4th Suffolk Regiment Casualties were recorded as “light” this was one of the first battles the 4th Battalion took part in of the defense of Givenchy. 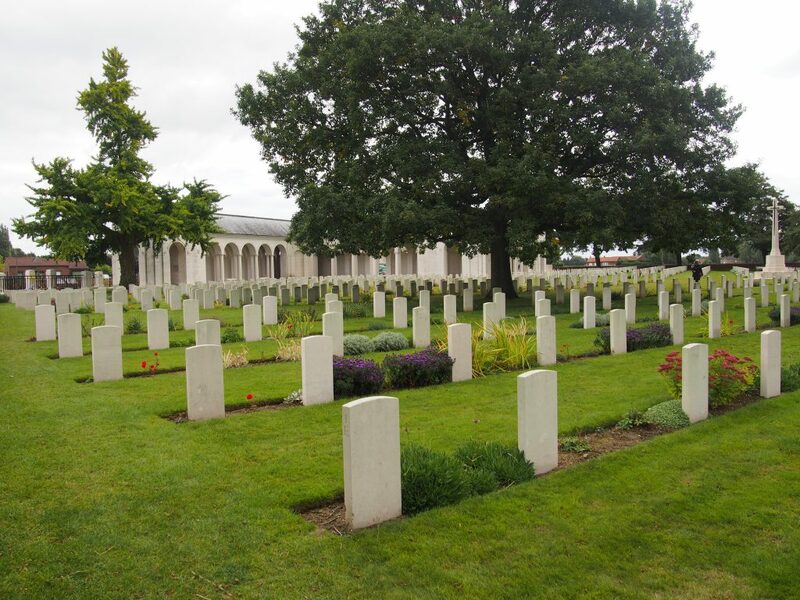 22nd December the Battalion left the line returning to Beuvry.